After numerous budget review sessions, the Garrett County commissioners have agreed to appropriate an additional $700,000 to the Board of Education for Fiscal Year 2012, county administrator Monty Pagenhardt announced on Tuesday. These funds will be transferred from the county’s unrestricted/undesignated fund balance. This newest earmark is in addition to the previously announced $1 million increase in FY ’12, compared to FY ’11. Pagenhardt noted that the $1.7 million proposed appropriation to the BOE would be the largest annual increase ever approved. “The additional allocation of funds will assist the Board of Education with a projected residual shortfall of $1.365 million that has been determined,” he said. The total proposed FY ’12 allocation to the BOE from the county is now $24,874,000. This is still below what the board had requested from the county – $28,687,825. Its FY ’11 BOE allocation was $23,174,000. Pagenhardt said that although the BOE has not presented its comprehensive budget to the county, the commissioners project that the additional allocation – combined with cost savings from the board’s employee retirement incentive plan and supplementary public education funds secured in the 2011 Maryland General Assembly session – will reduce the BOE’s funding shortfall to $665,000. He noted that county officials have worked to close its own $17 million funding shortfall, and reiterate to the BOE that all county departments have incurred budget cuts or have been flat funded in FY ’12. County capital projects have been repeatedly scrutinized and reprioritized, Pagenhardt said. QUEEN ANNE’S COUNTY, Md. — Several Maryland horse farms and rescues are working to treat more than 150 neglected and malnourished horses that were taken from a farm in Queen Anne’s County. The Polish Arabian horses were taken from Canterbury Farms in Centreville on Friday. Rescuers said a horse breeder there couldn’t take care of her facility, and the horses started to breed on their own. An anonymous call led to the rescue. 11 News learned that some of the horses are 300 to 400 pounds underweight and in bad shape. The Garrett County commissioners held a constant yield hearing last Thursday evening at Garrett College. Eleven people attended the event, with four of them voicing their concerns about property tax rates. The hearing lasted 15 minutes. Maryland jurisdictions are required to hold hearings whenever they are considering not reducing their real property tax rates enough to fully offset increasing assessments. The commissioners are proposing to keep the current real property tax rate at $.99 per $100 of assessment in fiscal year 2012. Since the county’s assessable base is expected to increase by .3 percent in the next fiscal year, keeping the current tax rate would generate an estimated $121,725 in additional revenue in FY ’12, according to Financial Services director Wendy Yoder. In order to have the same amount of tax revenue in FY ’12 as in FY ’11 ($44,880,148), the county would have to set the real property tax rate at $.9874 (the constant yield). Several members of the Garrett County Board of Education attended the hearing. He said conservative funding scenarios indicate the BOE will loose between $3.5 and $7.5 million in state aid over the next five years. Teets noted the property tax used to be $1 and returning to that rate would generate an additional $500,000 in revenue for the county. Representative Steve Benson, Garrett County Teachers Association, said the public spoke loudly and clearly at other recent hearings about maintaining the current educational system. “They do not want their students to lose the benefits and the offerings and the quality of education that they currently have,” Benson said. He noted that polls at state and national levels consistently show that people are willing to pay to educate their children. “We are not asking for huge increases, but we are asking that you to consider levying a property rate that will allow you to maintain the quality of education that we currently offer our students,” Benson told the commissioners. Oakland resident DeCor-sey Bolden said he knows the commissioners have worked hard on the proposed FY ’12 budget. But he asked them to make even more cuts. Apartment rental businessman Vaughn “Buzz” Johnson, Oakland, said he realizes what the newly elected commissioners are “up against” in dealing with their first budget. But, Johnson noted, his property assessments continue to rise, while his property values keep plummeting. He said he is also concerned that the average local government employee’s wage is $743 a week, yet the average wage for someone in the private sector is $517, according to the GC Chamber of Commerce. While holding a special session at Southern Middle School Tuesday evening the Board of Education voted to accept the recommendation of Dr. Wendell Teets, superintendent of schools, to close Bloomington School. Prior to its vote on the recommendations for school closing, the board met in a private session before taking statements from the public. With a large crowd gathered in the cafeteria of the middle school, a few concerned citizens discussed the negative impact that school closings might have on their small communities and the children who attended the schools. The public comment session was followed with a presentation by Teets, in which he rehashed the budget deficits faced by the Garrett County school system. Teets pointed out that the cost per student at Bloomington was nearly double that of any other school in the system, and that even with the $1.7 million recently earmarked for education by the county commissioners, the school system still faced a current budget deficit of somewhere between $600 and $800 thousand with a projected trend of shortfalls in coming years. In the presentation, Teets discussed the drop in student enrollment, the state funding loss because of the wealth assessment of Garrett County, and increases in operational costs as causes for the deficits. Teets stated that the school system could not maintain the high costs of running Bloomington, and that closing Kitzmiller was a reality that must be faced now or later. The board members that voted to close Bloomington seemed to do so reluctantly with all commenting on the difficulty of the situation. Those who addressed the audience articulated their sympathies for the affected communities, but shared the sentiment that a sacrifice was necessary to maintain the quality of the school system as a whole. “Schools are not the concrete, the bricks, but the students themselves. I feel our students can succeed anywhere,” stated newest board member Cynthia Downton after acknowledging she had spent sleepless nights considering her final decision. WASHINGTON – Hundreds of thousands of your tax dollars thrown away on empty hotel rooms. That’s the charge coming from a local lawmaker. In this FOX 5 Investigation, Tisha Thompson shows you why some say the time has come to get rid of this political perk. It is voting day in the Maryland House of Delegates. Delegate Wendell Beitzel (R – Garrett & Allegany Counties) is on the floor giving a speech. >In a packed church basement in Annapolis last night, Natural Resources Police honored officers for their work in law enforcement, rescue, conservation and boating safety. Cpl. Michael Friend was named Officer of the Year for his tireless efforts to catch drunken boaters on Deep Creek Lake, pursue wildlife poachers and carry out dangerous underwater recovery operations and for his work on behalf of charities such as the annual Polar Bear Plunge that raises money for Special Olympics. Friend, whose conservation work was recognized in 2008 by the National Wild Turkey Federation, is known for his ability to “improvise, adapt and overcome any situation,” NRP Capt. Bob Davis said. John Griffin, secretary of the Department of Natural Resources, called the police force a “vital link to our healthier future,” noting that NRP is one of just two law enforcement agencies to have statewide jurisdiction. >The mission of Ridgeview Valley and the Ridgeview Valley Home Owner’s Association (HOA) has always been to be as environmentally conscious as possible. PRLog (Press Release) – Apr 28, 2011 – Ridgeview Valley, Deep Creek Lake’s newest lifestyle community has found another way to give back to the local community even in challenging economic times. The mission of Ridgeview Valley and the Ridgeview Valley Home Owner’s Association (HOA) has always been to be as environmentally conscious as possible. With the use of underground storm water management, Ridgeview Valley is dedicated to the protection of 150+ contiguous acres of the 308 acre project. Recently, Lori Malcolm of Coldwell Banker Deep Creek Realty, the listing agent for Ridgeview Valley, was awarded the national Association of Realtors Green Designation, which provides resources to promote awareness to the unique balance of environmental responsibility and the sustainability for the future. In 2008 the Ridgeview Valley HOA made the decision to give back to the community by allowing non-profit organizations to host fundraising events in the community’s red barn. The Barn at Ridgeview Valley has become a preferred location for special cultural events, such as performances by Theatre on the Lake and The Annual Garrett Mentors Barn Dance, as well as private parties, weddings and family reunions. All events held at the barn are by, or for a charity or non-profit, and proceeds from each event benefits the charity or non-profit entirely. In lieu of a facility charge, those holding private functions are asked to donate to a charity of their choice. With this clever way of giving back to the community, Ridgeview Valley HOA offers brides a unique venue that allows them to personalize their big day, while helping their favorite charity. In 2010 the Ridgeview Valley HOA supported donations of over $2,500 to various charities. With their environmental tag line of “Every Little Thing Makes a Difference” the Ridgeview Valley HOA has designed a program called “Recycling for Charity”, it’s convenient and economical to the participants and beneficial to the recipients. To date, the Ridgeview Valley HOA is collecting soda can tabs and soup can tabs for Ronald McDonald House. In 2010, Paula Thomas, the Ridgeview Valley Home Owners Association Manager, and her family, collected 25 pounds of soda can tabs. They are hoping to exceed this goal in 2011. The tabs are collected for the aluminum value, sent to a recycling center and the funds collected help to pay for general operating expenses of each Ronald McDonald House. The Ridgeview Valley HOA is also collecting used eyeglasses on behalf of the Deep Creek Lions Club. The Lions Recycle for Sight program collects used prescription eyeglasses to send to developing countries. In addition, the Ridgeview Valley HOA is collecting used cell phones and empty ink cartridges to support efforts by the Zion Lutheran Church in Accident, Maryland. The church ships the phones and ink cartridges to The Orphan Grain Train to be used in conjunction with their many humanitarian programs. All of the above mentioned items can be dropped off at the Ridgeview Valley Preview Center during regular office hours. Although this is just a simple recycling program, the benefits are large to the recipients. Simply state, every little thing makes a difference. Ridgeview Valley is the planned village-style residential community with all the amenities spanning 308 acres that’s in harmony with – not in competition with – the natural beauty surrounding Deep Creek Lake, Maryland. When Marylanders reflect on William Donald Schaefer’s life in public office, his most defining accomplishments are obviously related to tourism and economic development. Most folks would immediately and appropriately point to the World Trade Center, the Convention Center, Harborplace, the Aquarium and Camden Yards as obvious reminders of Mr. Schaefer’s great legacy. And when it comes to his accomplishments outside of the city, many will cite the improvements along U.S. Route 50 on the Eastern Shore, replacing the narrow bridges over Kent Narrows and the Choptank River, erasing hours of headaches and frustrations from countless vacationers. What has gone largely unnoticed, however, was Mr. Schaefer’s dedication to another crown jewel of our state’s tourism industry, Western Maryland. As with Route 50, Mr. Schaefer made the construction of Interstate 68 in Allegany County a major priority of his administration. As a result, the region began to flourish. Rocky Gap Lodge, the thriving campus of Frostburg State University and the economic development seen in Deep Creek Lake throughout the last 15-20 years would not have been possible without the completion of I-68 and the major transportation gateway it has become. 20 Bears are lumbering out of hibernation this spring to be decorated by local artists and displayed from Memorial Day through Autumn Glory at sponsoring businesses throughout Garrett County. Posted on April 28, 2011 Author ilovedeepcreeklakerealestateCategories deep creek lake, discovery center, painted bearsLeave a comment on >THE BEARS ARE COMING!! 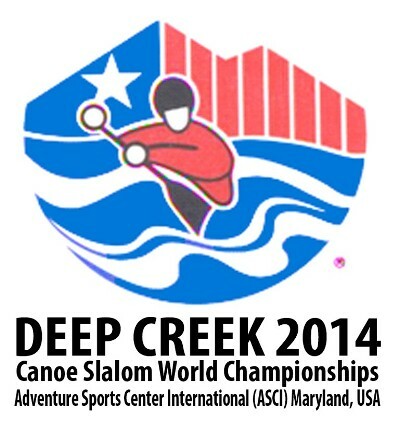 Many eyes from around the world will be on Garrett County and the Adventure Sports Center International (ASCI) whitewater course on Marsh Mountain in September 2014, as the International Canoe Federation (ICF) has awarded the 2014 Canoe Slalom World Championships to the ASCI site in McHenry. Following presentations at its spring board meeting in Paris last Friday, ICF selected ASCI’s bid to host the event over competing entries from Vienna, Austria, and Krakow, Poland. The event will also mark the 25th anniversary of the 1989 World Championships, which were held on the Savage River in Garrett County. Garrett County commissioner Gregan Crawford and ASCI executive director Matt Taylor made the bid presentation in Paris last week. Pictured from left above are Crawford, ICF president José Perurena López, and Taylor. The 2014 competition will also mark a return of world championship whitewater canoe and kayak racing to the United States for the first time since the 1989 Worlds.